Chillin’ being an Angler. Catching some fish with my hubbs. He’s a Paladin. 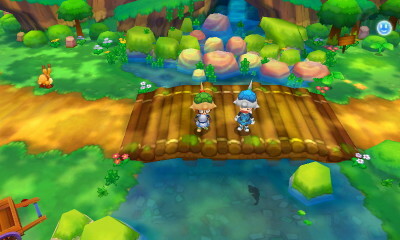 Fantasy Life is practically everything I’ve ever wanted in a role-playing game. Okay, maybe not everything but it’s pretty darn close. This title was released to the US on September 2014 for the Nintendo 3DS and yes, I’m a little late to the party but whatevs. It’s an incredible little game that was developed by Level-5, who have made other great games like Ni no Kuni and the Professor Layton series. Fantasy life is set in Reveria, a vast world filled with unique characters, three major cities, creepy fun caves, and vast dangerous forests. Not to mention, you can ride on a stinkin’ turtle. 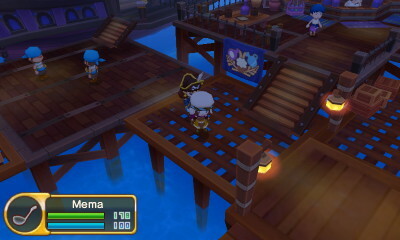 The gameplay revolves around the character’s chosen Life (fancy word for character class). If you choose to be a carpenter, expect to be chopping down a lot of trees. If cooking’s your game, expect to be gathering materials for your recipes and dishing them out. One of the game’s major elements is the questing system in which your story only progresses if you complete an amount of quests. You can also choose more than one Life and you will have to in order to fulfill some of these quests or even recipes. I, for instance, became a Cook because it might just be one of my most fierce desires. Some of my recipes required fish, and I was unwilling to pay vendors for them. As a result, I picked up the fishing Life, and now I’m rolling in all of that fishy goodness. Actually, the game encourages you to pick up the different Lives as you progress. Every Life has its perks! Be hanging out with pirates. One of my main beefs with the game is that they don’t have a recipe book that lists all of the materials you’ll need in order to create an item. This makes buying a particular item or even scavenging for it inconvenient. I tend to forget what I need halfway through a quest and would love to not have to zip back to a master’s place just to see the recipe. My second complaint but it’s not a deal breaker is the fact that the mini games for each crafting profession doesn’t seem to differ much. Albeit, I’ve only played 3 classes out of the 12 but I’ve watched Damian play his classes and they are very similar. If I haven’t sold you on this game with the option of having a steed for a turtle, I’ve failed at everything. I give this game 8 3/4 out of 10 Flying Fish.